Here! This red rose is for you? 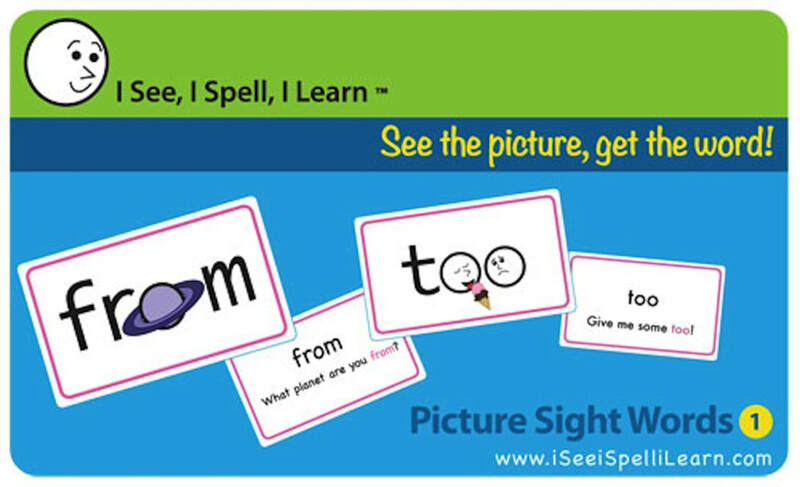 What are Picture Sight Words™? That's what makes these Picture Sight Words™ unique. 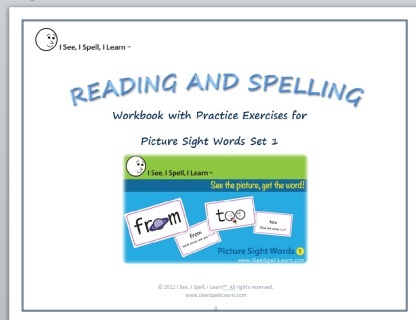 As a dyslexia tutor for several years, I have worked extensively with children who struggle with reading and spelling. 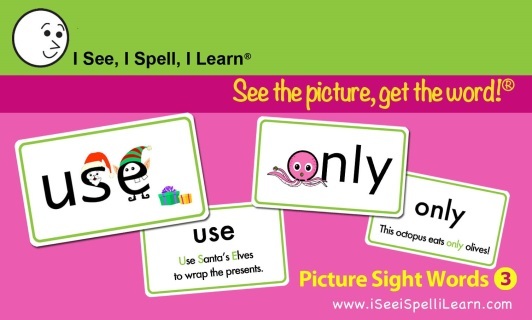 These specific picture cues have been tested and proven effective across many schools, as they allow the child to use their right-brain, visual strength to recall a picture in place of a letter. ​These visual Picture Sight Words™ will help your child recognize (read) sight words faster. In addition, they are the first cards that also teach the child how to SPELL sight words (and if your child struggles with sight words, you know how tedious spelling them can be). The picture cue is related to shape of the tricky letter. 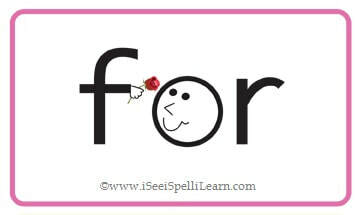 Now when the child has to remember that letter, he can tap into his right-brain strength and recall the picture which will tell him what letter it is because it has the same shape. 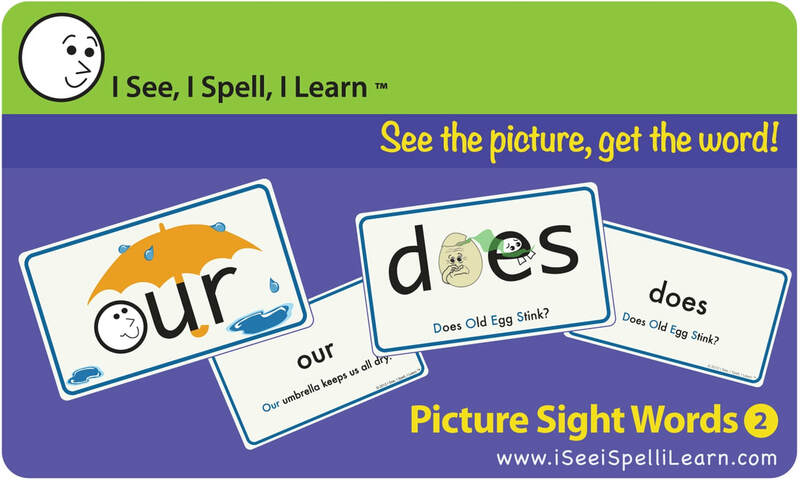 Unlike other picture cards, Picture Sight Word Cards® are not cluttered with confusing visuals. 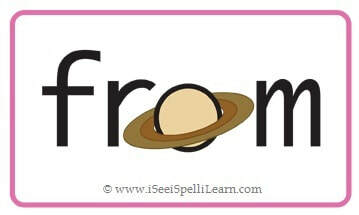 There is only ONE picture in the tricky letter, making it easier to recall. For the first time, the child can "draw" the word, and spelling sight words can become fun! 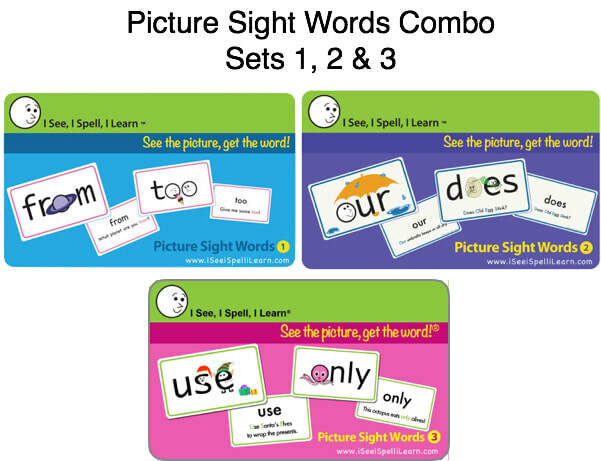 The 3 sets of Picture Sight Words™ are printed on high quality card stock with protective print coating and are attractive to look at. A sentence at the back of each card uses the sight word; this can be read aloud by the parent or tutor, thus helping the child understand the meaning of the word in context. 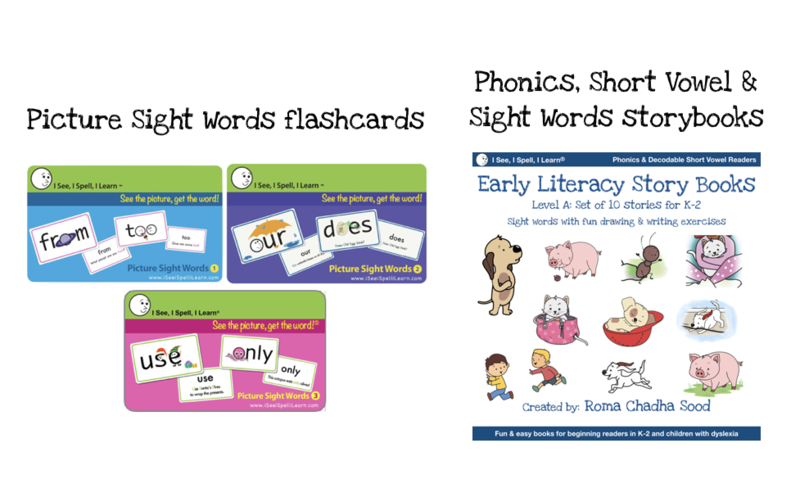 The cards can be used alone or as part of any Orton-Gillingham or other Reading or Spelling Program. Kids love them, as do parents, teachers and tutors. 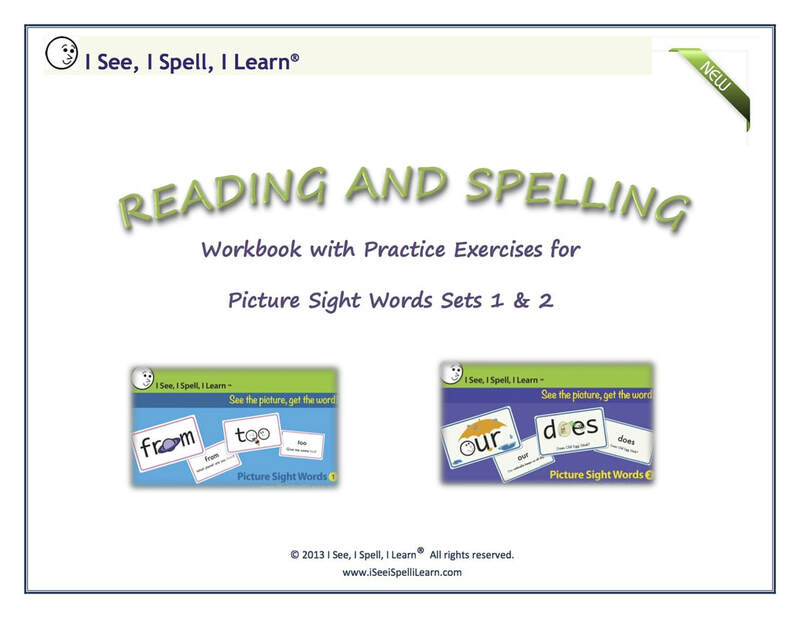 They work especially well for right-brained learners and children with dyslexia. 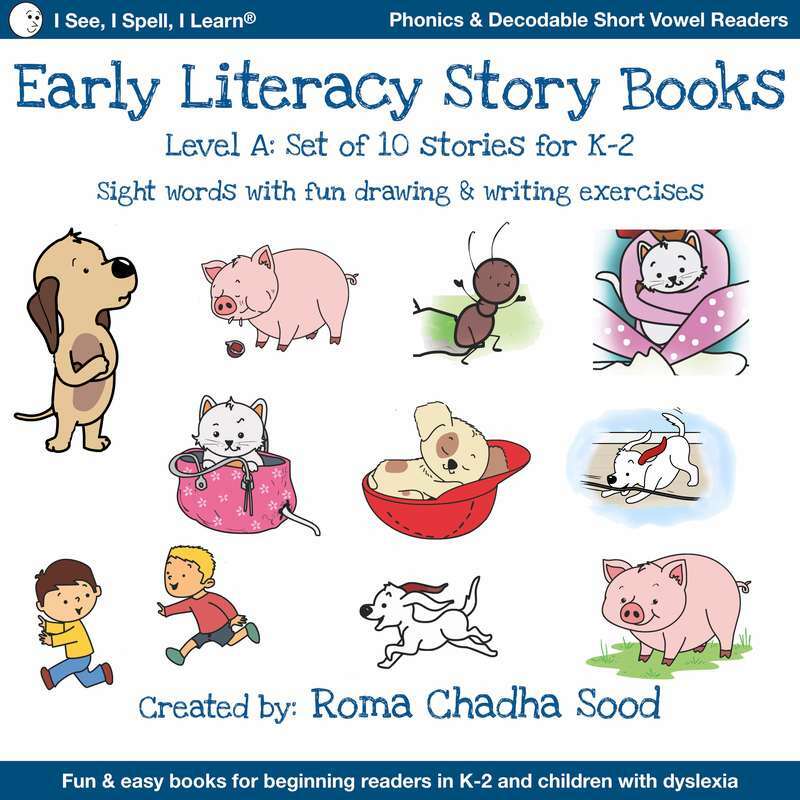 They also help emerging readers, since younger children who are just learning to read and spell enjoy the picture cues which keep them engaged. 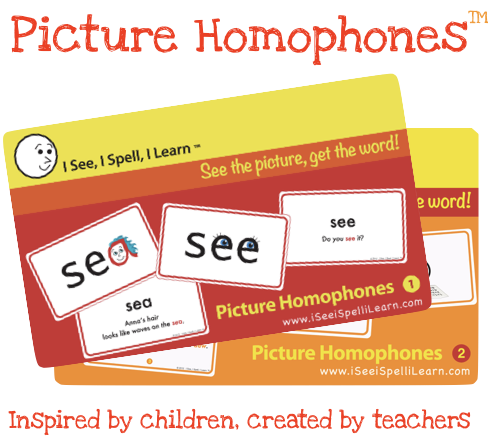 One of the greatest advantages of these Picture Sight Words™ & Picture Homophones™ cards is that they can be used as a stand-alone program to teach how to read and spell sight words, but they can just as easily be incorporated into an existing Reading Program your child is in. 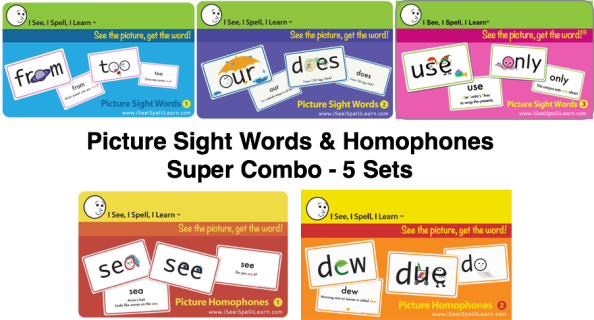 These sight word cards can be used along with any Orton-Gillingham-based program such as Barton, Wilson, etc., or any other reading & spelling program. 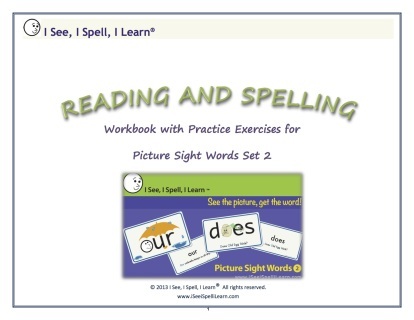 The repetition provided in structured programs is excellent for dyslexic and other right-brained children. 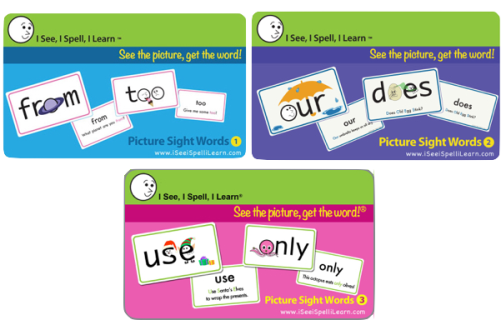 But Picture Sight Words™ cards give the child something tangible to hold on to in addition to just the repetition, greatly reducing the time it takes to master spelling and reading of sight words. The picture cues embedded in the letter make all the difference.